Microsoft is full of smart people, Sony says, and the company is happy to have healthy competition in North America. Amidst all the talk of whether the PS4 or Xbox One is better, which console will have better games, and which one will sell more, Shuhei Yoshida, president of Worldwide Studios for Sony Computer Entertainment, praised Microsoft's policy changes. Yoshida said the company is smart for realizing their mistakes and changing its console for fans. "We know they're very smart people," Yoshida said. "It's great that they were able to quickly realize that some of the things they were doing were not popular, and were able to make really quick decisions to change some of those things...It shows their dedication to making Xbox One successful." Yoshida also said the market for the consoles is very different in the United States compared to Europe, where Sony has a larger market share, and Japan, where people have had a longer association with Sony's brand. "We never took [Microsoft] lightly," he added. While Yoshida is happy to have healthy competition between Sony and Microsoft as it challenges both companies to do better, he is also confident about the launch of the PS4 against Microsoft's Xbox One. 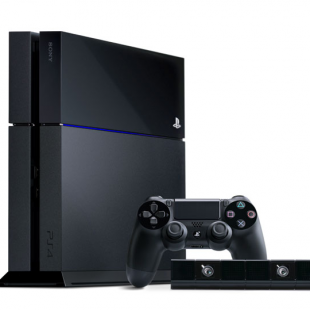 The PS4 is designed for consumers while also being hardware that game developers will enjoy making games for, he said. The PS4 will be fun to use "not just for playing games but for finding out about games and sharing the experience with others." Furthermore, Yoshida is excited about the future of many indie titles for the PS4 and PS Vita. "We believe this is the most powerful console ever made," he said. "The content, the games available, the usage of PS4 surrounding games... That's the message we've been communicating, and we'll continue to do that."